True to its name, the living room is where the family comes together to meet, greet, watch TV and play games. 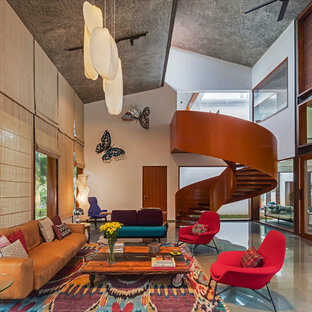 Most Indian homes have only one hall and hence the living room designs may vary to serve different functions. 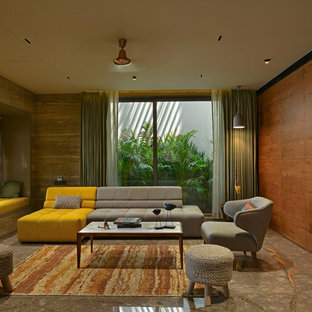 If you’re lucky enough to have more than one drawing room, you may make your living space a separate, more formal area away from the den or relaxing lounge. 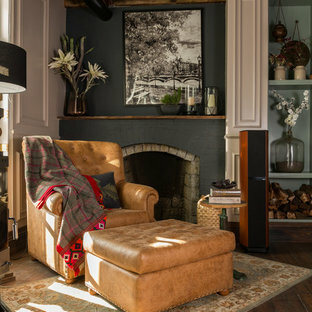 It can be tricky to get the balance right when you have to take so many functions into consideration, so browse through these living room ideas before you start planning your own. How do I determine my living room design? The utility of your living room or den will be the prime factor in picking a style and design. 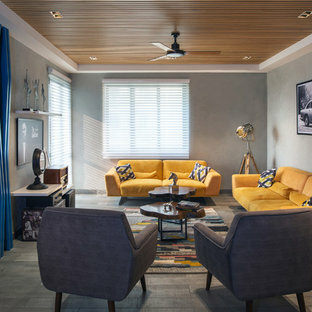 The living room was originally intended to be a sophisticated setting for hosting and entertaining, while the family room was used for more casual, everyday activities, like lounging or watching TV. 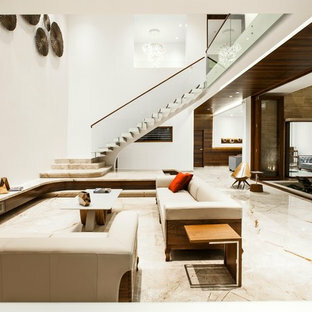 However, if your home has only one large room you can use a multifunctional living room design and layout. If you’re starting from scratch, first think about the static elements of the living room, like plug sockets, TV port, phone socket, doorways etc. You don’t want to have arranged all your living room furniture and decor only to discover you’ve placed your TV on the opposite side of the room to the aerial and sockets. Next, think about the layout of the other elements, like furniture. 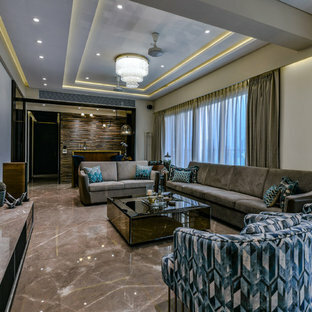 Every space will have design challenges, so think of living room ideas that accommodate all the seating and decor elements well. It’s best to think about your seating as the main focus of the living room. You don’t want your sofa or armchairs to overcrowd your sitting room but you need there to be enough seating space for everyone. Lastly, you can add decor and storage elements that match the intended style. How do I choose a living room colour scheme? The living, or drawing room, showcases your style and taste, but sometimes it can be difficult to decide on a colour scheme that will fit with the space you already have. Start by identifying a focal point or object of inspiration, like a painted wall, a piece furniture or any prominent living room decor, to determine the dominant colour. 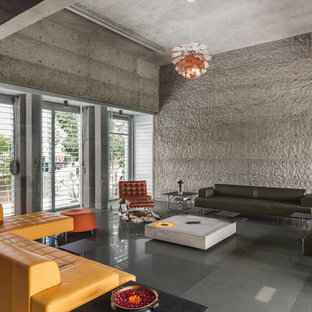 Once you have determined your living room colour try to understand how other colours can be used as an accents. Remember, it is easier to match colours if the dominant colour is neutral. Working with accents is easy as you can create both bold and subtle looks to match your style. What kind of living room furniture should I have? 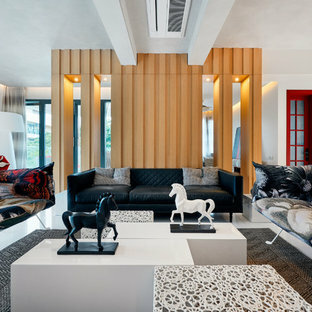 Given the multifunctionality of living rooms, you’ll want to be sure to incorporate different pieces of furniture to cover all possible activities. Depending on the layout of the living room you can add sofas, sectionals and armchairs for basic seating. Also, add some variety to the seating by creating a floor arrangement or window seating; these are great options for a small living room. Other must-haves include a coffee table and bar cart if you use the room as a lounge or entertainment space. Add a few shelves and built-in storage to house any electronics and accessories, or a bookcase to keep books, picture frames and knickknacks in check. Living rooms have no hard-and-fast decor rules. All decor items must blend in to reflect the style of the space and the rest of the house. The only rule to remember while decorating is to not go overboard with neutrals or colours. You can achieve a good balance by deciding the colour schemes in advance. If you want to experiment with many colours then opt for neutral colour wall paints and furniture. Similarly, if you want your sofa to be a the element of colour then scale back the decor so they don’t fight for attention. Also, don’t forget about the mid-sized items, like rugs, throws, decorative pillows, curtains and indoor plants which can double as functional and decorative when done right. 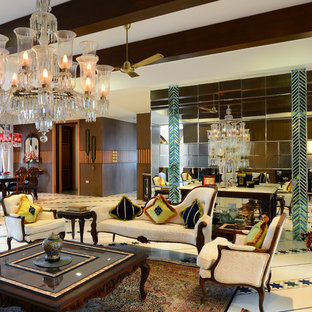 Think carefully about living room lighting as it plays an important role in enhancing the overall space. Add elements like living room ceiling lights or spot lighting to illuminate the room or a piece of art. 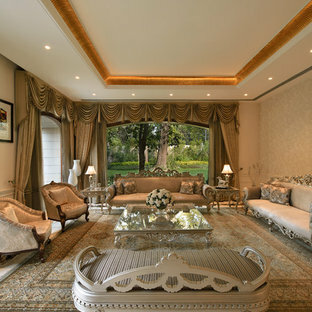 Browse through many living room images to define your style and create an inviting space.